500,000 children and teens invent gadgets and games each year. These innovations help make our lives easier – and more fun! Annually on January 17th, the birth anniversary of Benjamin Franklin, who invented the first swim flippers almost 300 years ago at age 12! To acknowledge past and present accomplishments of kid inventors; To encourage the creativity of future kid inventors. Read about it. Write about it. Host an Invention Convention. 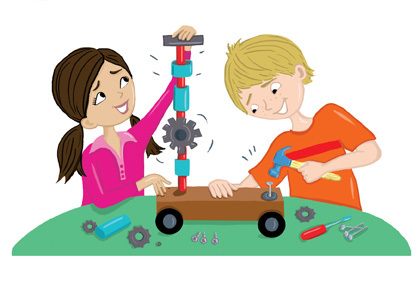 Start a Young Inventors’ Club. Enter a contest. Keep an invention journal. Or, better yet: design your own invention!